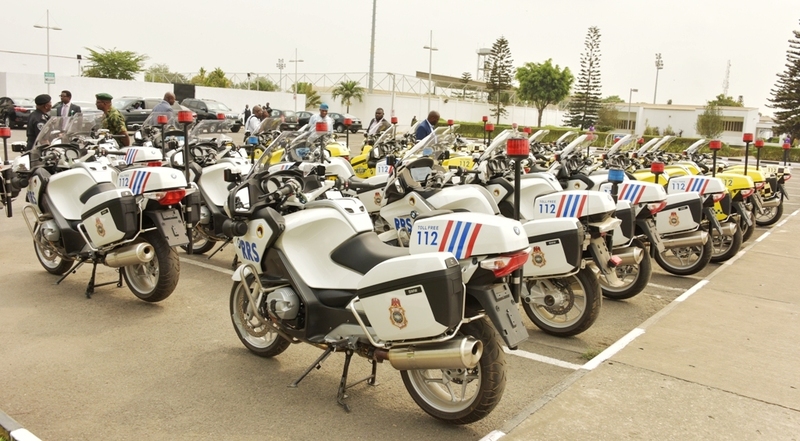 The Power Bikes presented to the Police, RRS, LASTMA and LASEMA at Lagos House, Ikeja, on Tuesday, January 23, 2018. 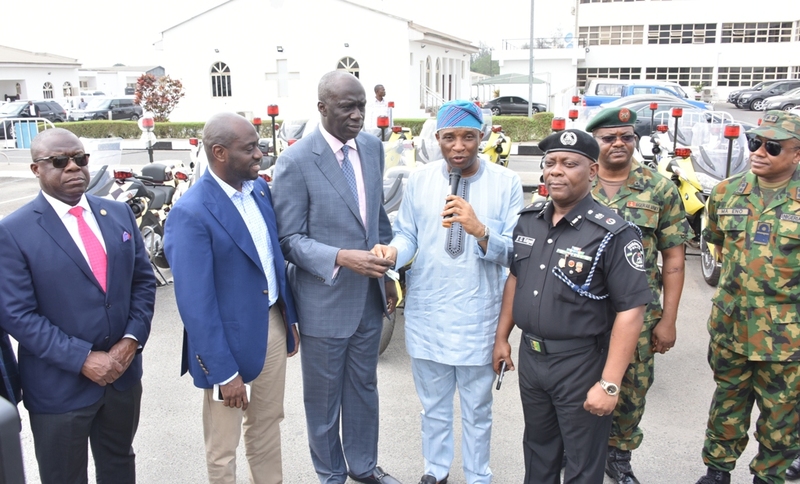 Board Chairman, Lagos State Security Trust Fund (LSSTF), Mr. Oye Hassan-Odukale; Secretary to the State Government, Mr. Tunji Bello; State Commissioner of Police, Mr. Imohimi Edgal; Commander, Nigeria Navy Beecroft Apapa, Commodore Murrice Ansa Eno; Commander, Nigeria 561Base Service Group, Ikeja, Air Commodore Olumide Olatunji and General Manager, Lagos State Traffic Management Authority (LASTMA), Mr. Wale Musa during the handing over of Power Bikes to the Police, RRS, LASTMA, and LASEMA at the Lagos House, Ikeja, on Tuesday, January 23, 2018. 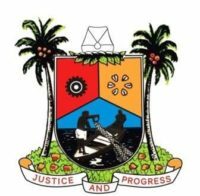 Attorney General/Commissioner for Justice, Mr. Adeniji Kazeem; Executive Secretary/C.E.O, Lagos State Security Trust Fund (LSSTF), Dr. Abdurrazaq Balogun; Board Chairman, LSSTF, Mr. Oye Hassan-Odukale; Secretary to the State Government, Mr. Tunji Bello; State Commissioner of Police, Mr. Imohimi Edgal and Commander, 9 Brigade, Nigerian Army, Ikeja Cantonment, Brig. 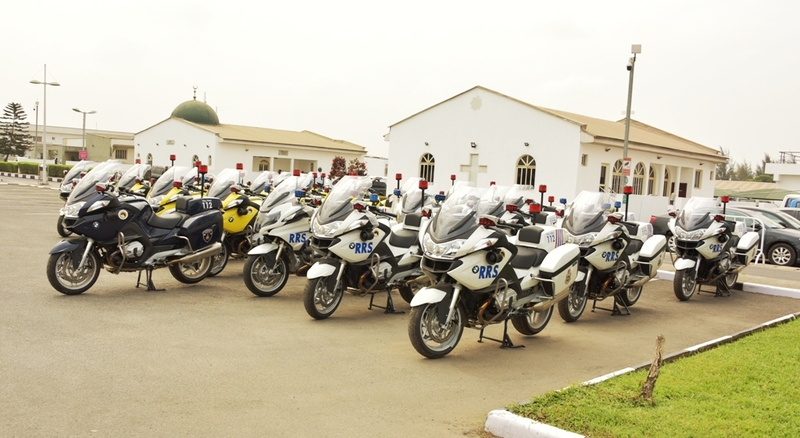 Gen. Elias Attu during the handing over of Power Bikes to the Police, RRS, LASTMA, and LASEMA at the Lagos House, Ikeja, on Tuesday, January 23, 2018. 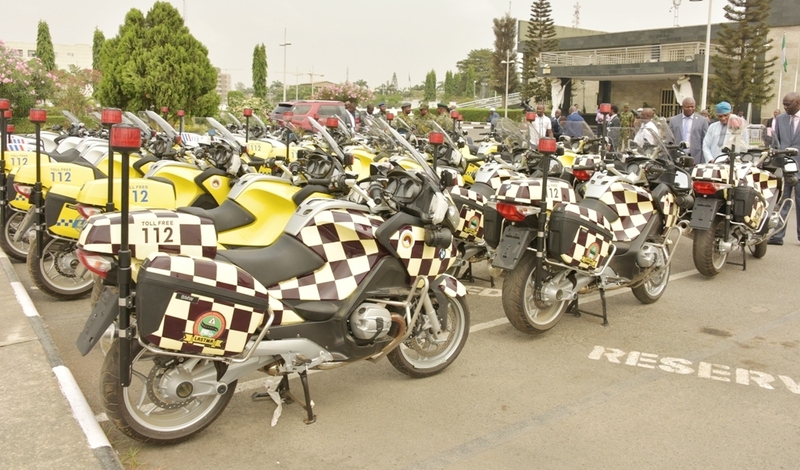 Secretary to the State Government, Mr. Tunji Bello (4th right), hands over keys of Power Bike to the Board Chairman, Lagos State Security Trust Fund (LSSTF), Mr. Oye Hassan-Odukale (3rd left) during the presentation of Power Bikes to the Police, RRS, LASTMA, and LASEMA at the Lagos House, Ikeja, on Tuesday, January 23, 2018. 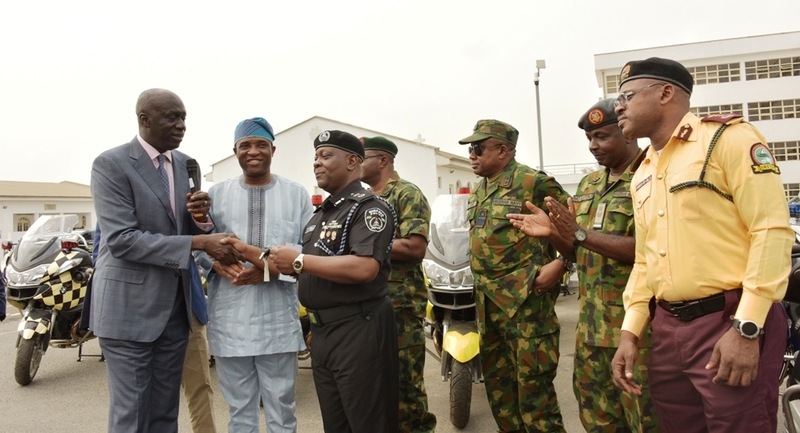 With them are State Commissioner of Police, Mr. Imohimi Edgal (3rd right); Commander, 9 Brigade, Nigerian Army, Ikeja Cantonment, Brig. 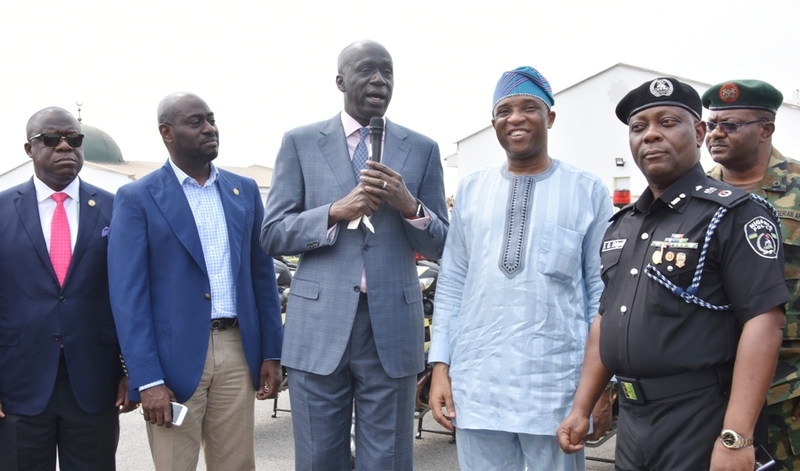 Gen. Elias Attu (2nd right); Commander, Nigeria 561Base Service Commander, Nigeria Navy Beecroft Apapa, Commodore Murrice Ansa Eno (right); Executive Secretary/C.E.O, LSSTF, Dr. Abdurrazaq Balogun (2nd left) and Attorney General/Commissioner for Justice, Mr. Adeniji Kazeem (left).